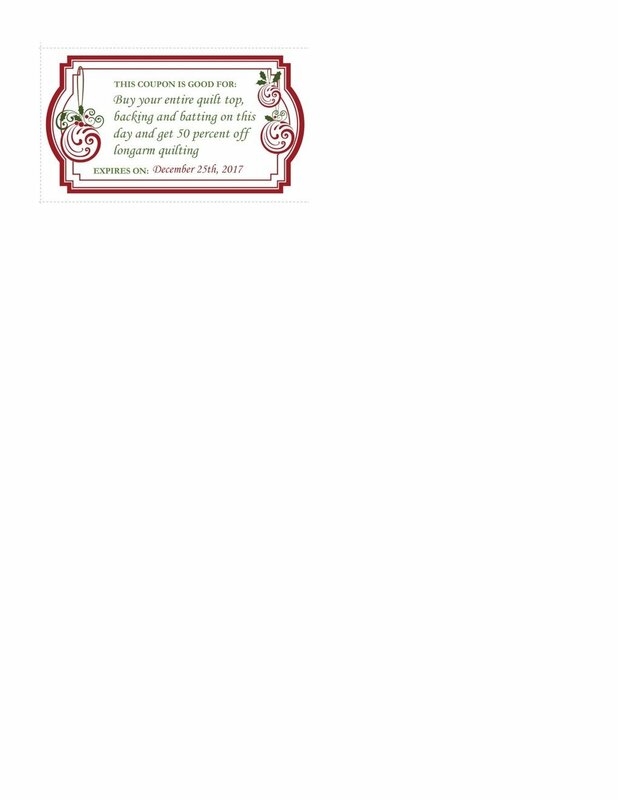 Old Creamery Quilt Shop Christmas Coupon Commotion! The fun will continue on into January too! 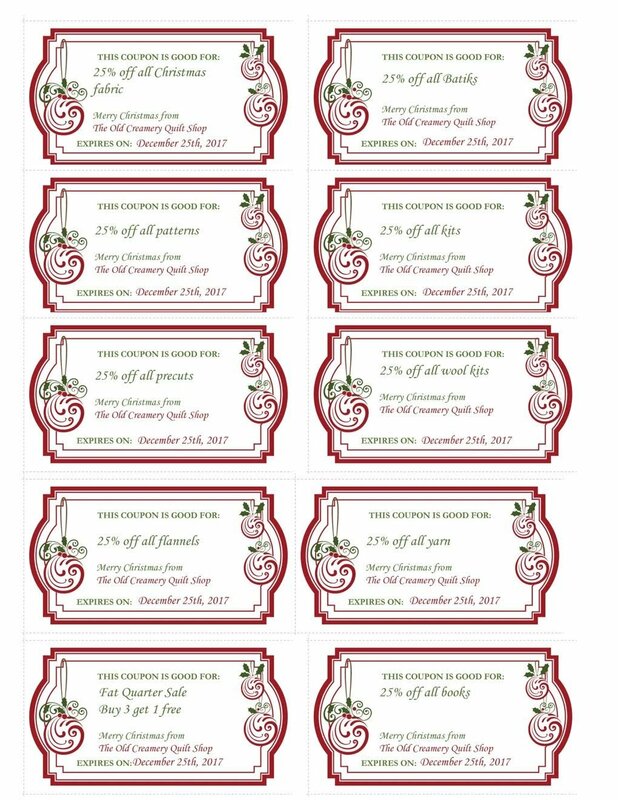 Use these coupons and you will receive a comeback coupon worth 10% OFF any regular priced merchandise to be used during the month of January.